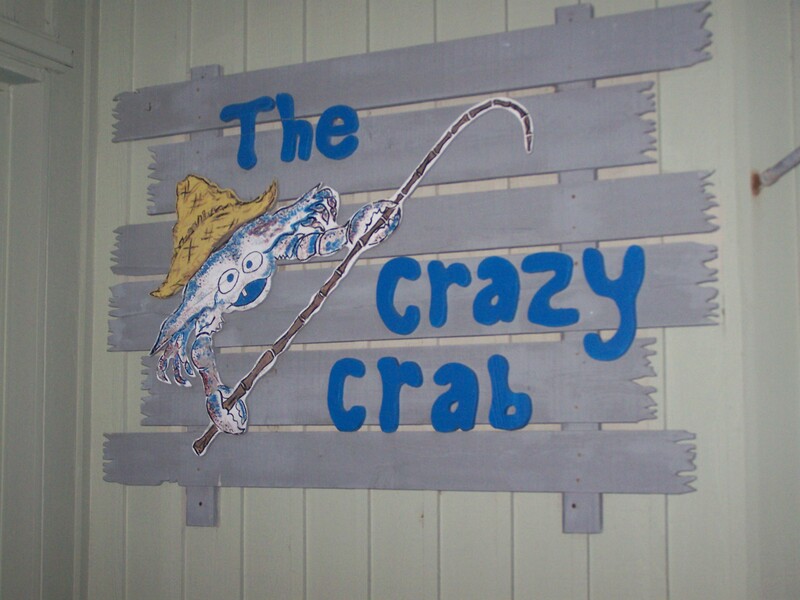 Nestled in the heart of picturesque Harbour Town in Hilton Head Island, South Carolina, The Crazy Crab is a popular seafood house where you’ll always find a crowd. 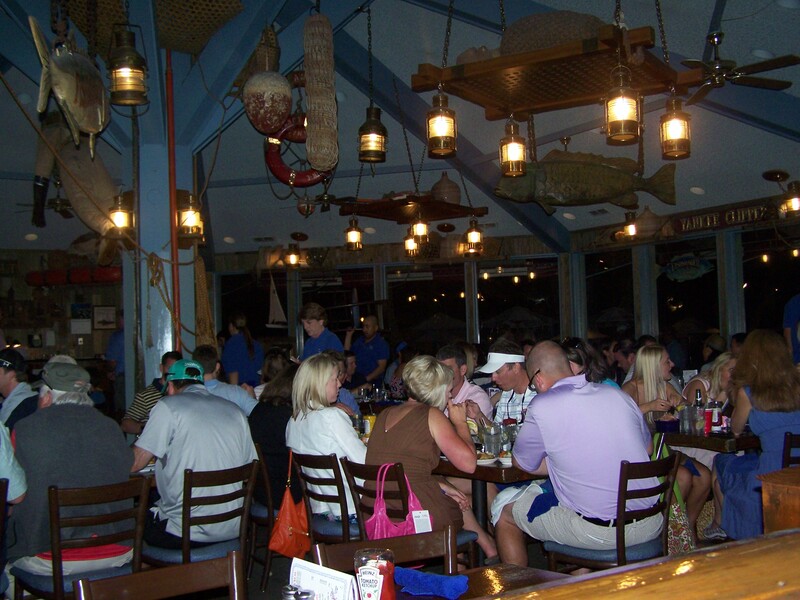 With two waterfront locations on each end of the island, The Crazy Crab features lunch and dinner menus with selections like broiled and fried seafood, steamed shrimp and seafood pots, and of course The Crazy Crab Boil including snow crab legs served with baked potato and corn on the cob. 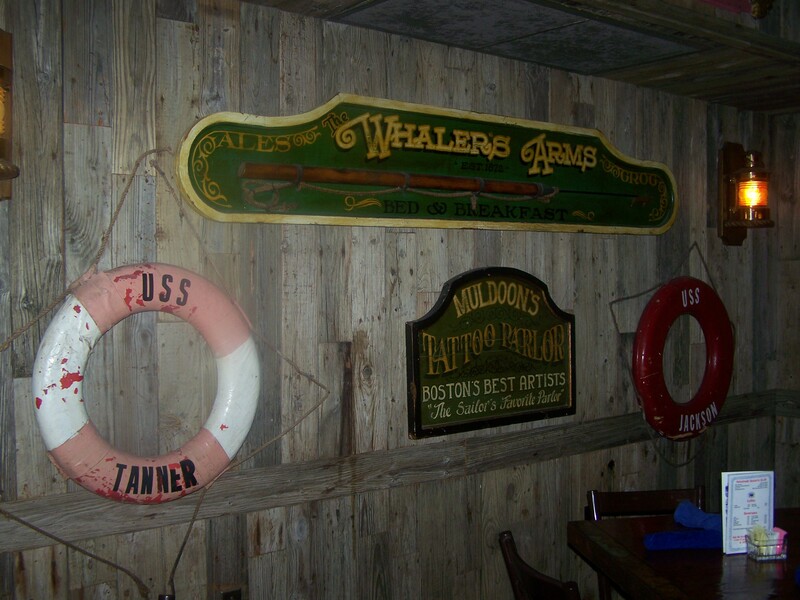 Not only do they serve seafood, but chicken and steak too! 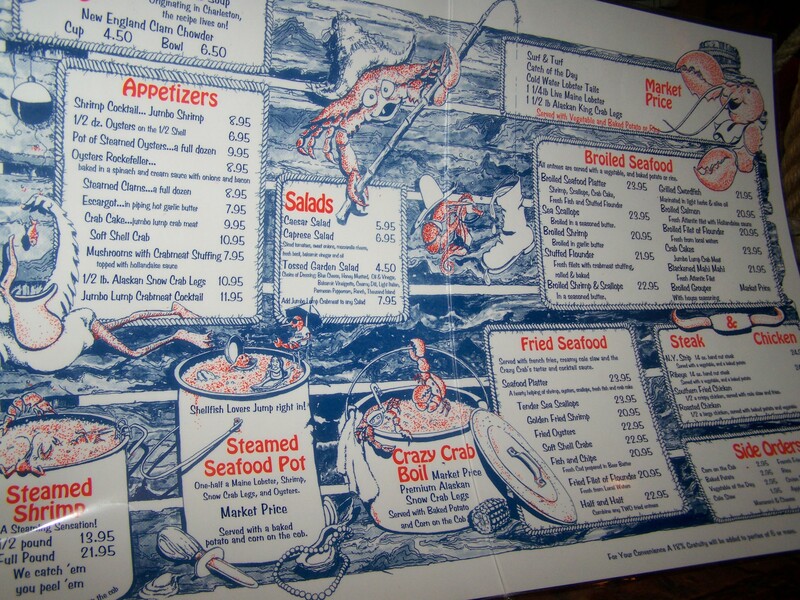 The menu design suits the relaxed atmosphere to a tee and the prices are adequate for the portion sizes. After a day on the beach followed by shopping at Harbour Town, listening to the live entertainment and enjoying a cocktail at sunset on the marina, nothing says ‘Take a seat’ like the welcoming, nautical table above. I couldn’t visit The Crazy Crab without ordering something showcasing crab. 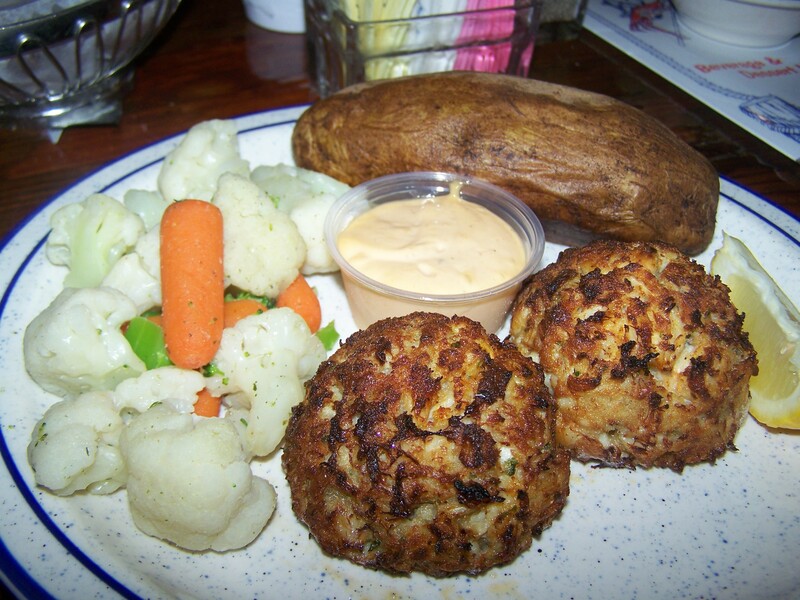 I chose Crab Cakes from the Broiled Seafood category for $23.95. Served with a spicy chipotle sauce, they were filled with jumbo lump crab meat and it was a shame I was too full to eat them both. Some Kinda Good y’all! There wasn’t an empty table in the place! 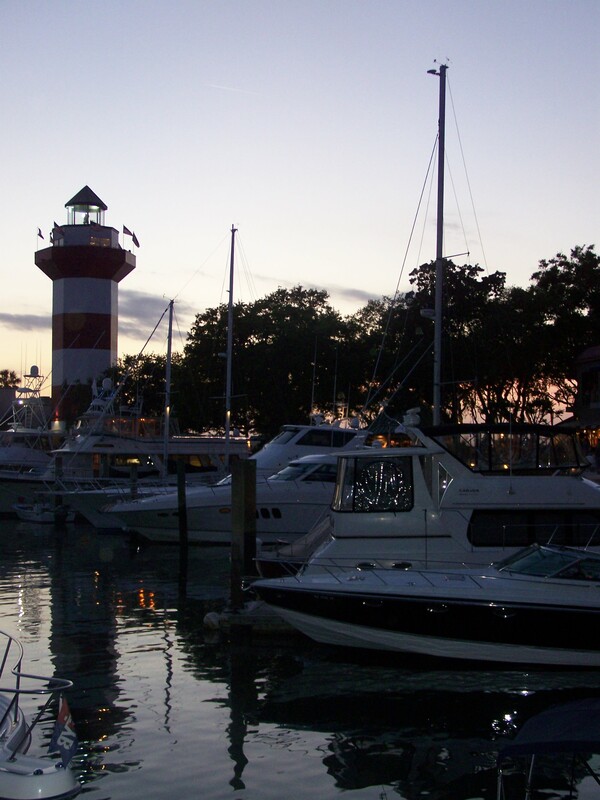 The windows surrounding the restaurant provide gorgeous views of the yacht basin in the casual, friendly atmosphere. 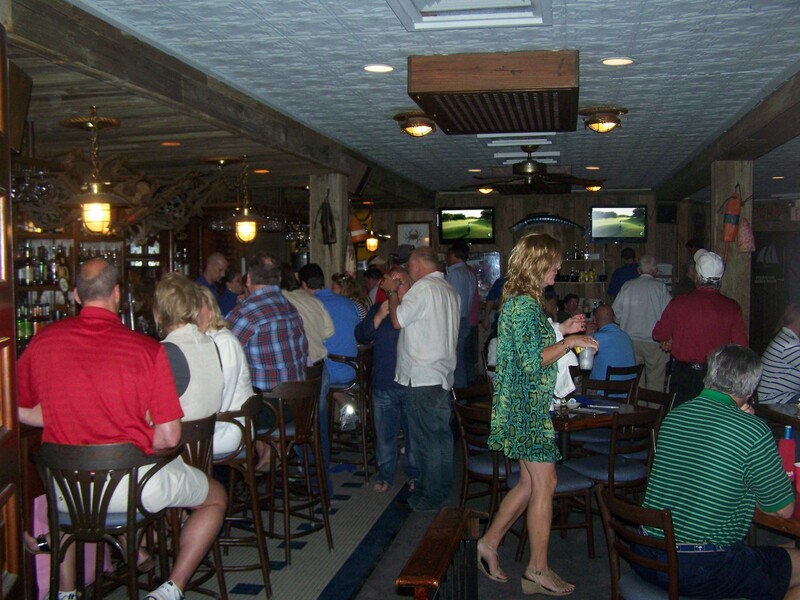 The bar area is always a happening spot! 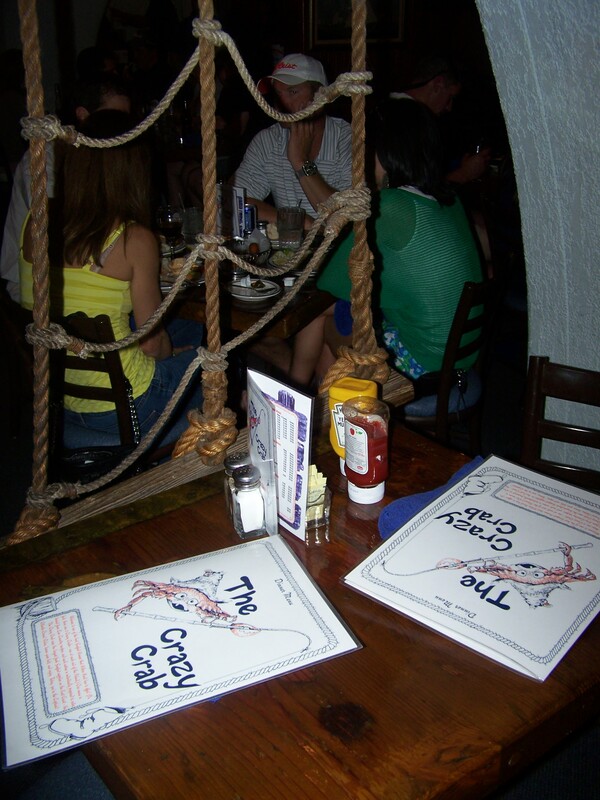 If you ever visit Harbour Town, be sure to dine at The Crazy Crab, and let me know how your experience goes! I’m sure it’ll be a meal to remember. I have dined there and the food was delicious! I love the atmosphere and the island!